She has worked with many large global corporations in rolling out innovative management programmes requiring very measurable ROI’s. She operates at senior levels in terms of working collaboratively with your company but also has a hands on approach when it comes to rolling out your training programme. Being passionate about the development of people, Elaine ensures that there is sufficient experiential learning when designing any level of training. Elaine is qualified in DISC and is also accredited to design, facilitate and produce virtual instructor lead training (VILT) which is an area of keen interest within most HR functions currently. She has been part of the VILT team for CISCO on several occasions working across many cultures worldwide. She has also delivered VILT for SAP, SAMSUNG, and in the USA for BP, BAYER, ASTD and MANDEL. 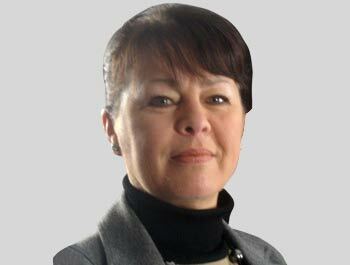 Elaine also works as a highly skilled business coach, working with all levels of people in the organisation. Having gained her accreditation 2006, she has coached many people to help them bring about phenomenal results both personally and in the work place across all sectors. Elaine is animal mad, when she is not playing with her dog she loves to spend her time playing polo!